On the poetry trail this week, I’ve been in search of some more participants for my poetry workshops which start on Tuesday, 20th September. Numbers are going to be low (unless there’s a last minute rush) but, rather than cancel, Town Hall Arts is supporting my classes and I’m really looking forward to getting to know my new poetry students. It will be great to get started rather than worrying about drumming up business, which all takes time and energy (and is, in my case, unfunded). I’ve attended plenty of workshops and poetry courses in my life and, more than once, I’ve felt disappointed by the large number of students in class. So I hope we’ll all benefit and enjoy the low student to teacher ratio at Trowbridge Town Hall! There is still time to sign up, by the way, and take advantage of a small and friendly group. Details here. 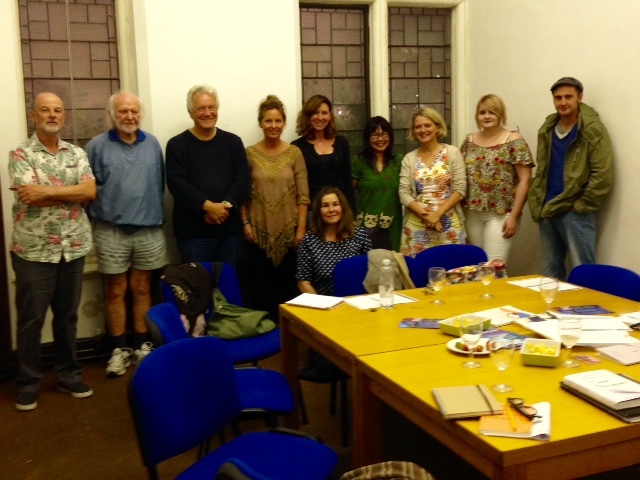 Trowbridge Town Hall now has a Poetry Society Stanza Group. Ten of us met for the first time last Monday. We ate posh crisps and strawberries washed down with cloudy lemonade and orange juice. We talked about which poets we read and the kind of poetry we’re drawn to. Simon Armitage’s name was mentioned twice and many other poets should have felt their ears were burning, including Pam Ayres, Dylan Thomas, Sharon Olds, Lorraine Mariner, Mark Doty, Michael Longley, Oriah Mountain Dreamer, Vicki Feaver, Daniil Kharms and T.S. Eliot! It was a lovely, open-minded and interesting group. The Poetry Society has been extremely helpful in helping me getting things started, putting me in touch with other Stanza Reps who’ve all been encouraging and full of brilliant advice, and sharing news of the group on social media. Our next meeting will be on Monday, 10th October, 6-8pm at the Town Hall. Other poetry business I’ve done this week includes more plotting for National Poetry Day. 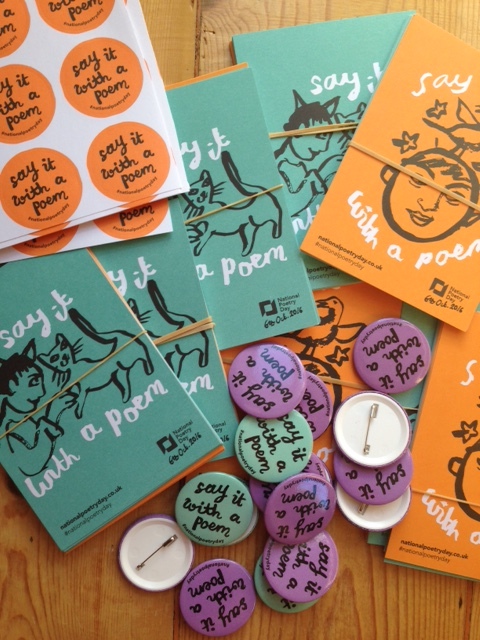 As well as inviting poets, artists, and the general public to Trowbridge Town Hall to think of a message and ‘say it with a poem’, I’m also planning some poetry workshops for schools who are also going to visit the Town Hall on the day. I love thinking up ways of engaging people with poetry, children most definitely included. Rather than look for works specifically aimed at children, I tend to seek out poems which children might enjoy as much as adults. I’ve written about this before and although I love ‘children’s poetry’, I’m keen to share a wider range of material with them, mainly because of how responsive children always seem to be to all types of poetry, in my experience. I haven’t had much time for ModPo this week, so I must amend this! Bye for now and enjoy your week, funded or otherwise.